Shower Doors, Foggy Window Replacement, Screens, Table Tops, and more! One of the most common issues with older windows is dealing with the space between the two pieces of glass fogging up. The double-pane glass itself seems stable, but it goes through a daily cycle of expansion and contraction from thermal pumping. When the sun heats up the air between the panes, the gas expands. At night, the air between the glass cools down and contracts. 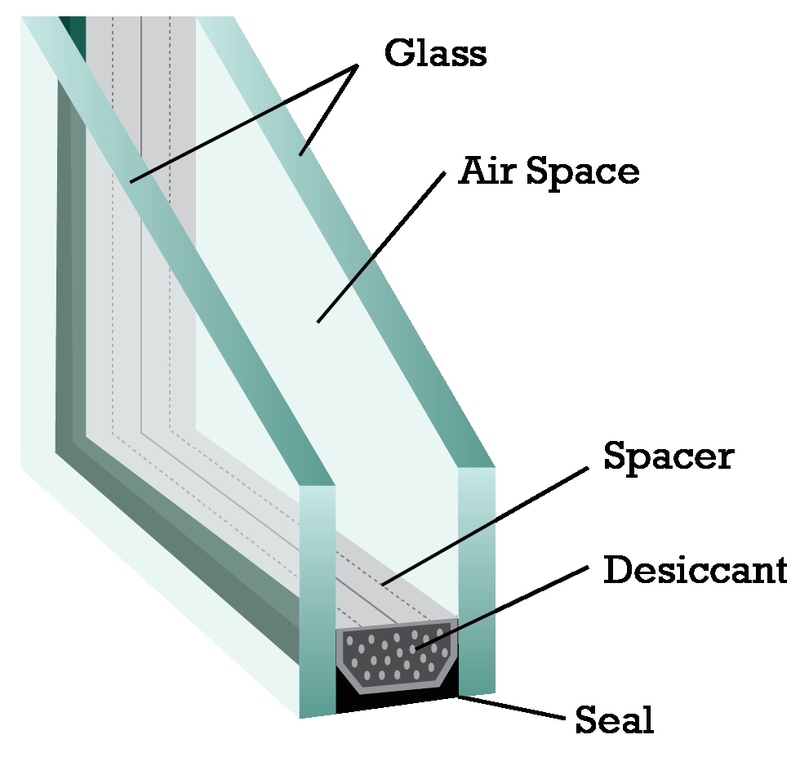 This stresses the seal over time, which slowly allows increasing amounts of air and moisture to enter and escape between the glass. Generally windows on the sunny side of a building or home fail more prematurely. Vinyl windows have a higher failure rate than wooden or aluminum windows due to them allowing more expansion and contraction. There are a few ways you can tell if the seal has gone on a double-pane window. The first sign is the accumulation of water droplets between the two pieces of glass which typically happens during more humid weather. Riverbedding is when condensed water inside the window runs on the same path over and over which carves grooves in the glass. The final and sure-fire sign the seal has gone is by Silica Haze. This is when too much moisture enters between the panes and carries eroded material from the silica pellets (dessicant) which then sticks to the glass and stains it white. Add elegance to your bathroom by having glass shower doors and enclosures installed and never deal with shower curtains again. Glass doors can be used for enclosing tubs with sliding doors or pivoting doors. If you have and/or want a custom bathroom and shower design, we can measure to install glass to almost any configuration. All of our shower doors are fabricated at our facility. We cut the glass, polish it and do any cutouts/notches/holes, then tempering it. To get you started, we will set up a time to send out a technician who will plan with you what can be completed for your bathroom. Our tech will measure and draw out plans then bring those back to the office to quote. 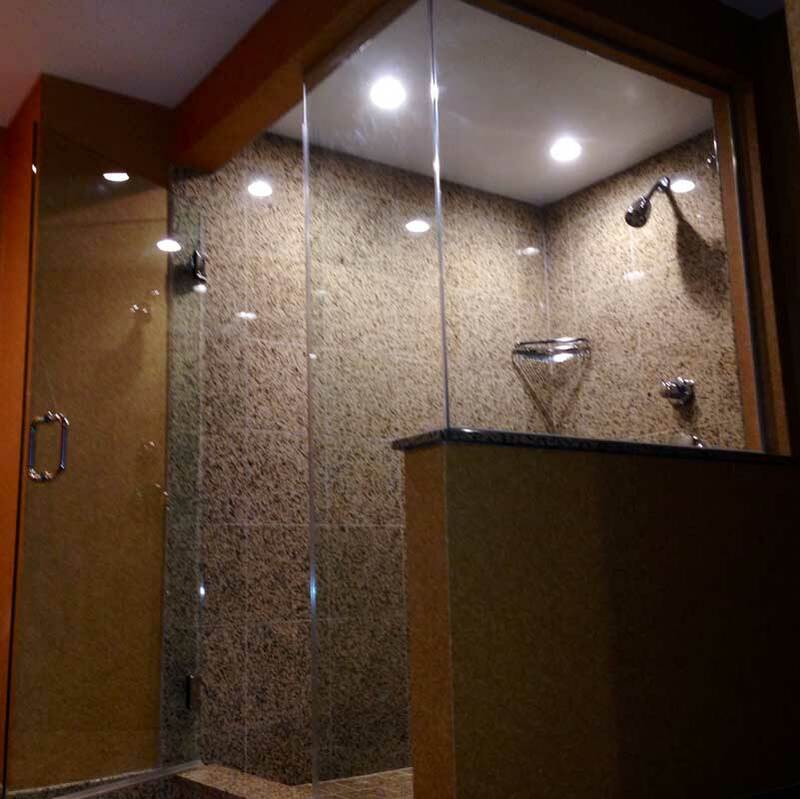 We offer a wide variety of options for shower doors from glass types to different hardware options and finishes. Check out our Image Gallery to see some of the varying types of showers we have fabricated and installed in homes around Boston and New England. Having a piece of glass on your table not only prolongs the life of it, but it also makes it easier to clean and adds a nice touch to your table. If your table is a rectangle, our technicians will just need to take measurments. 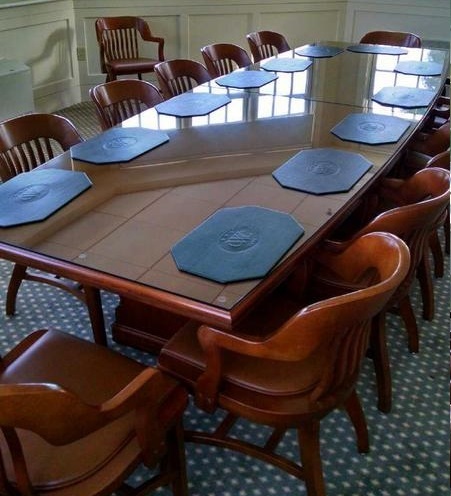 If your table is a disticnt shape, our techs will take a pattern of the surface of your table and we will use that to make the custom piece of glass for your table. You can choose between a variety of thicknesses ranging from 1/4" and up. We have an edging machine that adds a crystal clear flat polish to the edges of the glass or a bevel to the size of your choosing - which we recommend when ordering table top glass. We will also deliver and install the piece of glass if needed.